Recently elected Speaker of the California State Assembly, Anthony Rendon. “As the largest and most influential Armenian-American grassroots advocacy organization in the Western United States, the work of the ANCA-WR is no less challenging this year, as we continue to build upon the strong bond between our Great State and Armenia and the Independent Republic of Artsakh. The unyielding support of all our state leadership is of utmost importance as we prepare to mark the 101st commemoration of the Armenia Genocide, as we continue increase opportunities for Genocide education in schools, and as we continue to advocate for peace for the Republic of Artsakh,” she continued. In closing her letter, Hovsepian noted that the organization looks forward strengthening its relationship with Rendon as he continues his tenure in office as Speaker. Rendon represents the 63rd Assembly District in the California State Assembly. The 63rd Assembly District includes nine cities – Bell, Cudahy, Hawaiian Gardens, Lakewood, Lynwood, Maywood, Paramount, South Gate and a northern portion of Long Beach. On January 11, 2016, Rendon was elected the 70th Speaker of the Assembly. He will assume the position on March 7. During his first term in office, Rendon chaired the Water, Parks and Wildlife Committee and authored Proposition 1, the $7.5 billion state water bond, which voters passed by a 67% to 33% margin in the November 2014 election. Now in his second term, Rendon authored Assembly Bill 530 in 2015, a law that spurs much-needed revitalization of the lower portion of the Los Angeles River, and Assembly Bill 496, which connects schools with resources to improve clean drinking water infrastructure. Rendon arrived in the Assembly with a commitment to clean, transparent, and open government, having come from a district with more than its share of impropriety by government officials. Rendon’s work on the water bond reflected this commitment. During the bond development process, Rendon took input from residents over the course of 16 public hearings throughout the state, resulting in a measure with no earmarks or backroom deals. In addition to the water bond, Rendon passed bills on a wide range of topics reflecting his interests in early childhood education and the environment. He authored Assembly Bill 711, the statewide ban on lead hunting ammunition to remove a known toxic substance from impacting human and wildlife health. Rendon also passed Assembly Bill 2403, which streamlined stormwater capture programs and facilitated water conservation in California. Prior to serving in the Assembly, Rendon was an educator, non-profit executive director, and environmental activist. He led Plaza de la Raza Child Development Services, Inc. as Executive Director. “Plaza” provides comprehensive child development and social and medical services to over 2,300 children and families offered through Plaza’s 35 child development centers located throughout Los Angeles County. 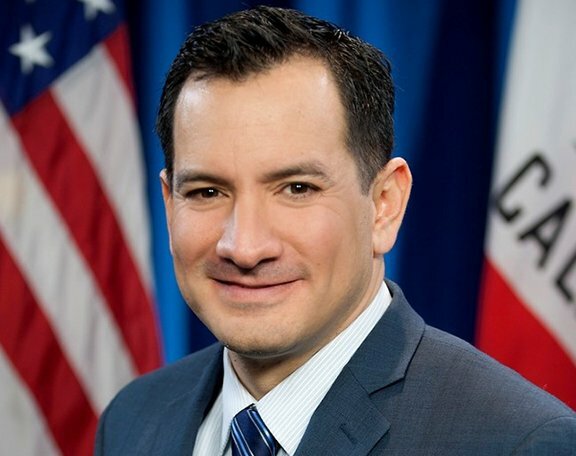 Before working at Plaza, Rendon served as the Interim Executive Director of the California League of Conservation Voters from 2008 to 2009. Rendon attended Cerritos Community College before earning his Bachelors and Masters of Arts Degrees from California State University, Fullerton. As a recipient of a National Endowment for the Humanities Fellowship, he earned his Ph.D. from the University of California, Riverside and completed post-doctoral work at Boston University. Rendon served as adjunct professor in the Department of Political Science and Criminal Justice at California State University, Fullerton from 2001 to 2008. Rendon resides in Paramount with his wife Annie. The Armenian National Committee of America-Western Region is the largest and most influential Armenian American grassroots advocacy organization in the Western United States. Working in coordination with a network of offices, chapters, and supporters throughout the Western United States and affiliated organizations around the country, the ANCA-WR advances the concerns of the Armenian American community on a broad range of issues. For more information, visit www.ancawr.org.